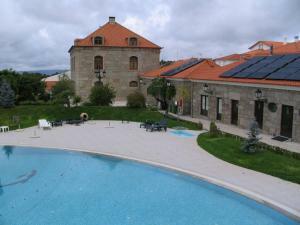 Inatel Linhares is situated in the historic village of Linhares, surrounded by the Serra da Estrela Mountains. It has a swimming pool, tennis court and 24-hour front desk. They all have a TV, air conditioning, and minibar. Guests can enjoy the hotel bar, or relax on the Inatel Linhares' terrace. Solar Dos Cerveiras price per day from € 40 Surrounded by gardens, this family-run country house is situated in Mesquitela, in the Natural Park of Serra da Estrela. Including free Wi-Fi, all rooms at The Solar Dos Cerveiras have a private patio and spacious bathroom. Traditional jams are served for breakfast in the country kitchen of Solar Dos Cerveiras..
Quinta das Cegonhas price per day from € 85 Situated near the border of the Serra da Estrela National Park, this guest house provides rooms and apartments with a patio. Rooms include original architectural features, and include a TV, a dressing room and a private bathroom. Casa do Mogadouro Located in tranquil surroundings, the 19th century, rustic-style Casa do Mogadouro is decorated with a mix of contemporary and traditional décor. 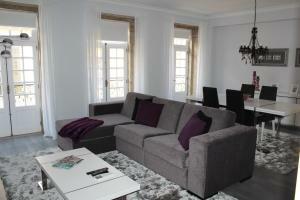 Each is equipped with a TV, heating and a private bathroom. Local restaurants and pizzeria’s are within a 5-minutes’ drive away. 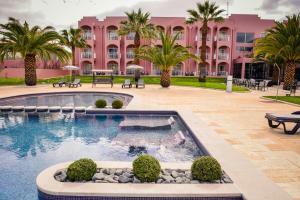 INATEL Vila Ruiva price per day from € 47 Located in peaceful Beira Alta, this 4-star hotel provides modern rooms with balconies offering panoramic views. Guests can relax at the hotel’s outdoor swimming pool and hot tub, or explore the historical area, famous for its river valleys, mountains and castles..
Casas Folgosinho price per day from € 58 The Casas Folgosinho are located within the Serra da Estrela Natural Park. 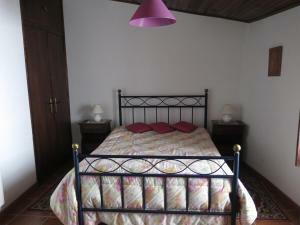 The property is set in the typical village of Folgosinho, amidst quiet surroundings. Featuring traditional fireplaces, the homes include a private bathroom, equipped kitchen and a living room with a sofa bed. 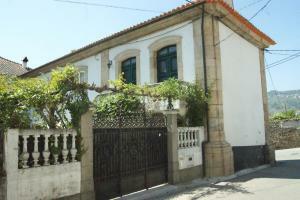 Casa Retiro De Xisto price per day from € 75 Located in Serra da Estrela Mountain Natural Park, this rustic-style house is located in the centre of Videmonte village, 16 km from Guarda city. Casa Retiro de Xisto can accommodate pets on request. A stove, oven, fridge, microwave, toaster, washing machine and dishwasher are featured. Town of Figueiro Da Serra (~1.9 km). Town of Mogadouro (~4.9 km). Town of Folgosinho (~5.6 km). Town of Vila Franca Da Serra (~7.9 km). Town of Gouveia (~11.4 km). 4+ apartments !